We were delighted with our service by Precision. Our tech was prompt, professional, and thorough (and extremely nice) about the service we needed. I am glad he placed a sticker beside our garage door open, because Precision is the only company for us from now on. Thank you for a job well done. Thank you for choosing Precision and for sharing your "Precision" experience. Great job by tech-quick and precise work-explained everything-on time, etc. Also knowledgeable as to garage doors in general. Great service. Dan was very friendly and took his time explaining everything about the repair to me--what went wrong and how he could fix it. He arrived early and worked quickly. No complaints. Technician Josh was on time and also very nice. He reviewed the problem and explained what was needed. Job was also completed very timely. I could not ask for anything better. The service was great. Thanks so much! I chose Precision because I knew the name and thought I had used them before. It turns out I didn't but I was very pleased with the service. My techs name was Joshua. He was very careful in his exam and explanation of the problem. The word that best describes his service is integrity. It was a quick fix and a good price. He also gave me the info I needed to make the decision to replace my garage door. Very happy with the whole experience. That is great! Thank you for calling Precision and for sharing your experience! Replacement of a broken spring on a door and service on another. I rate 5. Josuha arrived on time and immediately assessed the problems and gave me three estimates from low to high. I went with the high one to basically refurbish both garage door openers. They work beautifully. Joshua did a great job and represented the company well. Thank you for allowing Precision the opportunity to service your garage door needs and for sharing your experience! Great! Thank you for choosing Precision and we hope you enjoy your new door! Joe was very professional and did a great job! Your company was recommended to me by a friend. She wasn't kidding when she said the workers are really pleasant and accommodating. Michael installed my electronic garage door openers the day we selected. He was prompt, helpful, and just wonderful to talk to. The price quoted was the price paid. He installed what I asked for, and had great advice on what would work for me before the decision was made. We thank your friend for recommending Precision and we thank you for calling us. Your business is greatly appreciated. I was very pleased with the response time. The fact the technician seemed very knowledgeable about garage door and was prepared to fix my issue during the first visit. My last garage door repair with a different company was very time consuming. Many many phone calls back and forth. I was not satisfied. When my husband heard the spring break on Sunday I made several attempts to contact previous company to see if the work that was done in February was warranted, but I was never able to reach the company. I heard the jingle for Precision door in my head saying it was a name I could trust and decided to call. The person that answered my call was pleasant and had technician scheduled to be at my home within hours of the call.. Thanks for being professional during the whole process. You are very welcome - thank you for calling us and for sharing your "Precision" experience. Honest and professional guy and know exactly what wrong with my garage door. I’ll guve this company a 5 star. Very good service will recommend to any one thank u Marion Payne. Marion, Thank you for choosing Precision and for sharing your review! Kind technician with full smile. reasonable svs fee. David is an awesome technician! Once I told him/showed him what my opener was doing or wasn’t doing, he did his assessment and diagnostic test my garage door opener was back working in no time flat. Thank David for you very professional service! Jerimeih Heinz was excellent in solving problems within minutes! Very professional, polite, and knowledgeable. Thank you! The doors put in by Eric a few years ago have been so much better than previous ones. Great job. Very efficient. Very courteous. Precision will come thru for you. That would be someone that I will referral to come do business with. Prices was great. On time was good. Did there job very well. The technician call to let me know that he was on his way, which is a nice courtesy. The issue was resolve in a timely manner and there were several tips that the technician share with me when troubleshooting future issue. I want completely pleased with the service and the repairman who installed a new opener for me. He was very nice and seemed to know exactly what he was doing! A plus for him! We needed to replace a 30-year-old double-car garage door due to rotting and swelling wood panels which were causing the door to jam in its tracks. Everyone we came in contact with at this company was what I would call "professional-friendly" -- the person who answered our first phone call, the estimator who arrived quickly and on time, and the installer who also arrived on time and made short work of replacing the door. 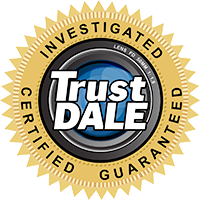 We also appreciated the fact that no one tried to sell us on items that did not need to be replaced -- for example, after inspections, the estimator and the installer both agreed that there was no reason to replace the tracks or the garage-door opener. We could not be more pleased with our replacement door! My technician was Phillip King and I was very pleased with the installation of my garage door openers. I was given a 2 hour window and he was timely in his arrival. Mr. King was very polite and listened to what I wanted without trying to oversell, providing me with the product that suited my need. He was efficient in installing the openers (which also included the replacement of my keyless entry pad). He was patient and answered by questions to my satisfaction. I would choose Precision for any future garage door replacement/repair. Phillip, did an excellent job on my door today Thanks!! 5-stars! George was great on time, and very professional. I wold recommend him any day... Keep up the great work :)!!! !